CAPCOM | RESIDENT EVIL 7 biohazard Ships Over Three Million Worldwide! RESIDENT EVIL 7 biohazard Ships Over Three Million Worldwide! 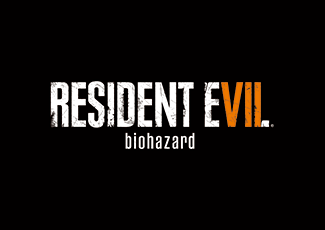 Capcom Co., Ltd. (Capcom) today announced that worldwide shipments of RESIDENT EVIL 7 biohazard (RESIDENT EVIL 7), the latest installment in the Resident Evil franchise, for PlayStation®4, Xbox One and Windows PC have surpassed three million units. 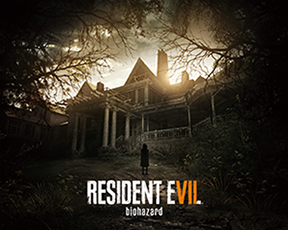 RESIDENT EVIL 7 is the latest installment, and builds upon the series' roots of fear, exploration and tense atmosphere. The full game is also available to play via the included optional PlayStation®VR Mode for the PS4 version. RESIDENT EVIL 7 is also an Xbox Play Anywhere digital game which allows play on both Xbox One and Windows 10 with shared saves, game add-ons, and achievements. In addition to utilizing the new proprietary RE ENGINE to push hardware specifications to their limits, the game's system underwent a dramatic shift from its previous third-person camera to a new first-person perspective in order to provide an overwhelming, deeply immersive horror experience. By incorporating broadly scoped innovations and refocusing on horror, the title earned numerous high-scoring reviews from around the globe and garnered attention from fans who also highly praised the game, leading it to exceed three million units shipped. Capcom will continue to expand interest and demand for the title by releasing additional downloadable content, as well as holding in-store PlayStation®VR demos throughout Japan with the aim of further promoting sales. Furthermore, the newest Hollywood film, Resident Evil: The Final Chapter, has had a strong performance worldwide, pushing the film series' total global box-office to over one billion dollars. As a result, the Resident Evil film series boasts the all-time top box office gross of any film series based on a video game to date. *"PlayStation" is a registered trademark of Sony Computer Entertainment Inc. "PS4" is a trademark of the same company. * Microsoft、Xbox One and Windows are either registered trademarks or trademarks of Microsoft Corporation in the United States and/or other countries.